This unique Walker tour involves student participation, skill and lots of fun. 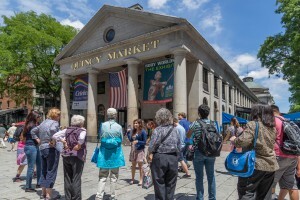 Student teams walk around many of Boston’s historic sites such as Faneuil Hall, Quincy Market, State Street and Haymarket areas, the Old State House to the Holocaust Memorial in search of clues and answers to the scavenger hunt. Tons of educational fun is had while collecting information from around downtown Boston, competing to win Boston swag.